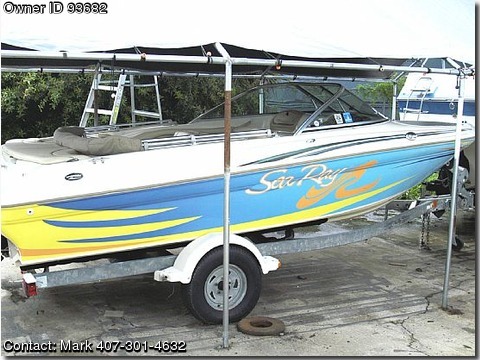 Beautiful 2001 18' Sea Ray bow rider with 3.0 liter 4 cyl inboard/outboard MerCruiser engine galvanized trailer. This boat runs great , was just serviced & is ready to go. The low price of only $7995 INCLUDES tax, tag & title. More photos avalable upon request. Lake test available for serious buyers with small deposit. If interested CALL Mark @ 407-301-4632. Leave msg if no answer.